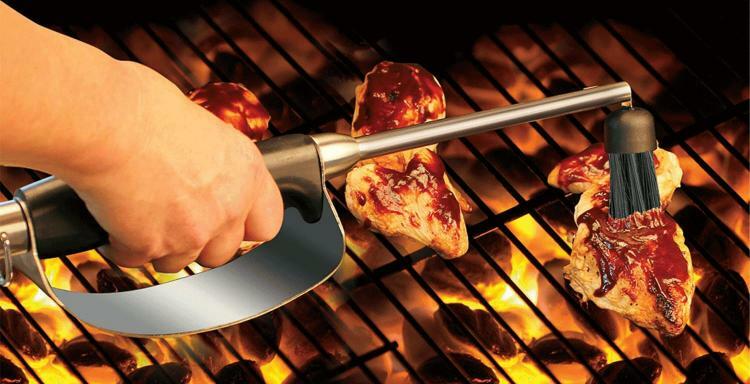 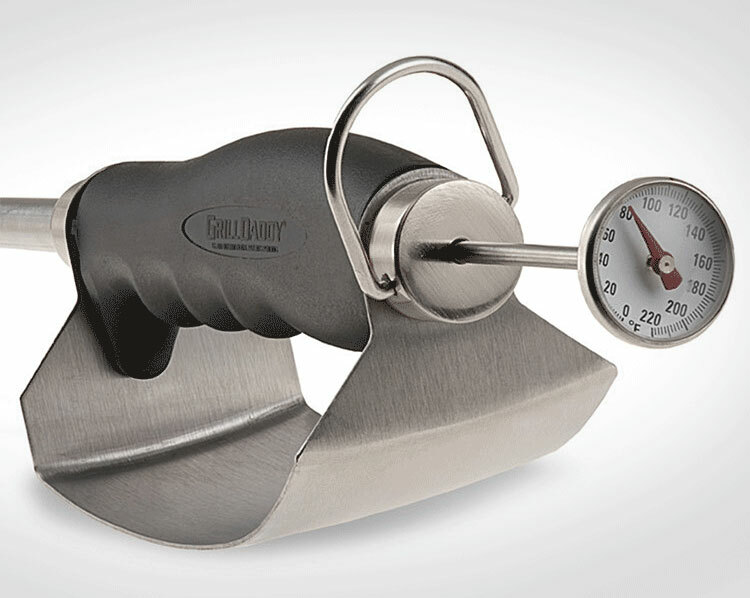 Similar to the hand guard on a sword, the Grill Daddy heat shield tongs have a guard for your hand that protects it from the heat of the barbecue. 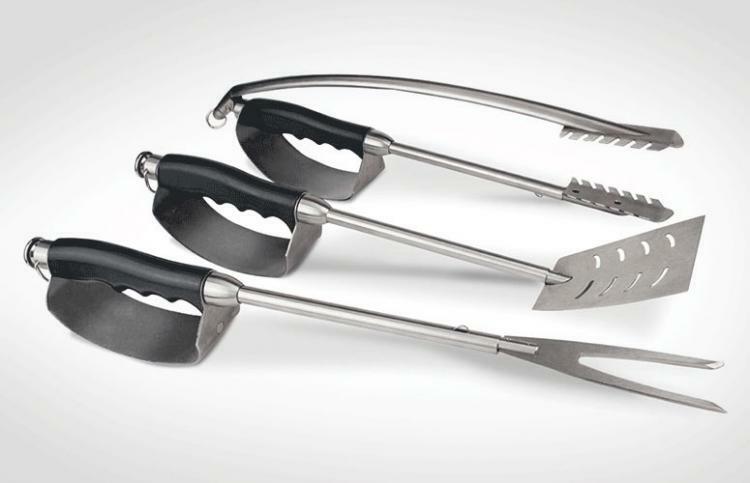 Perfect for the man with beautiful, tender, uncalloused hands that can't withstand a little bit of heat while he flips over his tofu burger, the hand shield will give your hand the comfort and protection it needs while you turn your veggie brats, your shish kabobs filled with all vegetables, or your turkey burger. 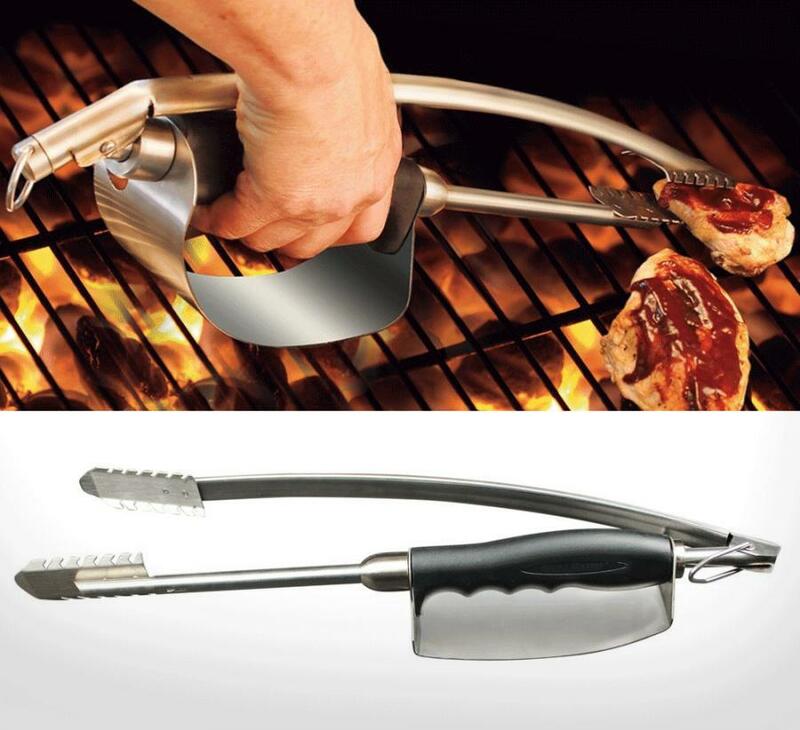 The Grill Daddy heat shield tongs are made from stainless steel, are spring action, have an ergonomic handle with a heat shield that swivels with your hand so that it always stays right below you, and measures 20 inches long. 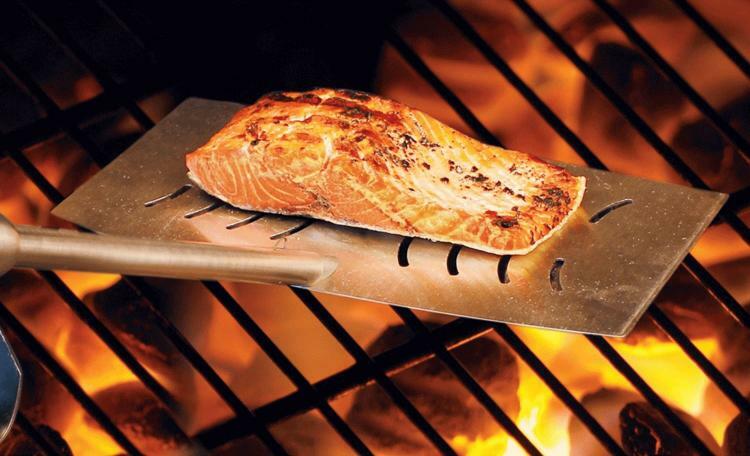 The grill daddy heat shield is also interchangeable with a variety of different tips. 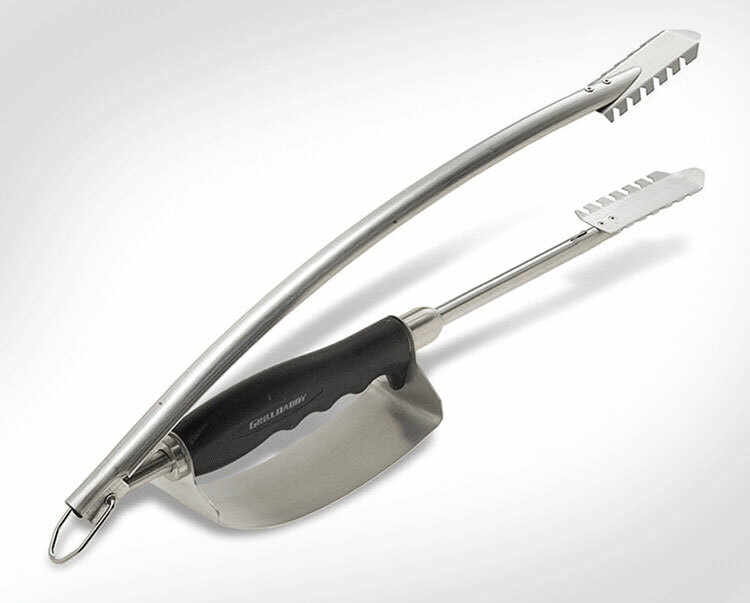 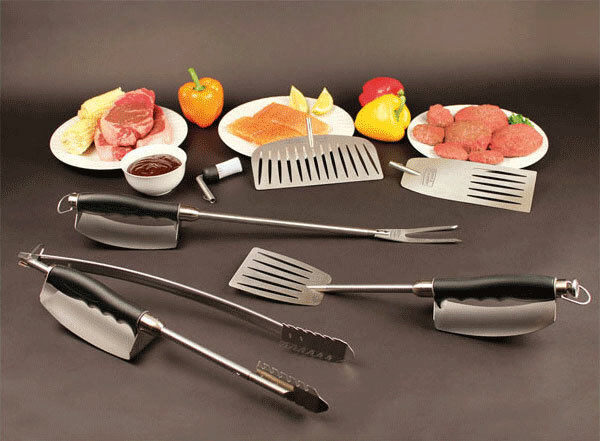 simply take out the tongs attachment and screw in a multi-purpose fork, a silicone basting brush, a fish flipper, a slider flipper, or a pro spatula. Note: these attachments are sold separately and do come with the tongs. 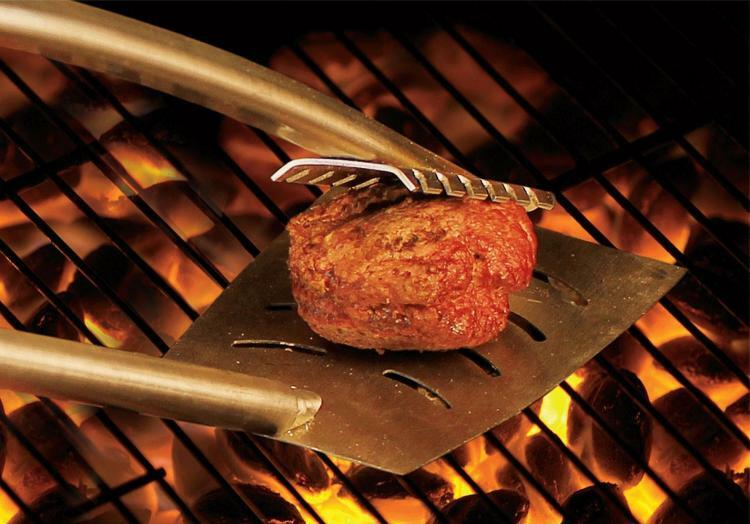 Check out the Grill Daddy Heat Shield Tongs in action via the video below.